Church Investors Fund offers a variety of investment options, and when you invest in Church Investors Fund, your return is two fold. Not only do your dollars help build God’s Kingdom, but you also earn a competitive interest rate that will help secure your own future. The places and options for you to invest your money continue to grow, but do you know for what cause they are using your money? Do they match your beliefs? When you invest in Church Investors Fund, your money helps build churches. It builds new sanctuaries, new classrooms for children to learn about Christ, fellowship halls where people can come together to build relationships through Christ or to renovate current facilities that need a face lift to be able to function properly. Church Investors Fund investments are not insured by the FDIC. No state’s securities agency has recommended or endorsed an investment in Church Investors Fund. In most U.S. states, we must meet specific registration requirements or be exempt from registration before we can offer investments. Since our beginning in 1973, Church Investors Fund has never lost money on our loan portfolio or defaulted on a payment. For a more in-depth look at Church Investors Fund’s Management of Risk, view our Annual Report/Offering Circular. As you review our available investments, please keep in mind these investments involve certain risks. Our Annual Report/Offering Circular (U.S.) gives you information on these risks. A hard copy may be obtained from our office by calling 1-800-543-2343 or by e-mailing us (by clicking here). Church Investors Fund certificates are available in terms ranging from one-year to five-years. All term certificates carry a minimum investment of $1,000. Because of the variety of terms available, it’s easy to find one that best fits your investment needs. Foundation Certificates give you the flexibility to invest any amount at any time, and to redeem funds up to three times per month at no penalty. The minimum investment is $100. 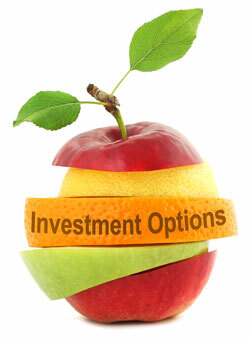 Church Investors Fund IRA options include Traditional and Roth. We also accept retirement funds you would like to roll over or transfer to a Church Investors Fund investment. Church Investors Fund investments may qualify as vehicles under other types of retirement plans. Don’t hesitate to ask if we can help! A Coverdell Education Savings Account (ESA), formerly called Education IRAs, allows you to contribute money to an education fund that will grow tax-free. The maximum contribution amount has increased, and a number of other options have been added, making this a much more investor-friendly way to save for a child’s education. A Revocable Charitable Gift allows you to leave money to Church Investors Fund or another North American Baptist ministry of your choice. During your lifetime, you earn interest on your investment and retain the right to revoke your gift if you choose. Upon your death, the funds become a charitable gift and are given to the ministry you designated it to. Building Fund Certificates offer our North American Baptist Churches the opportunity to have an investment with no maturity date and withdraw money at any time without penalty for building purposes. Building purposes are broadly interpreted as any planning, design, purchase or repair of buildings or land. The rate changes monthly and is based on the three year Term Certificate. *Louisiana – Demand securities are not available for sale in your state. The owners of 25% or more of the total principal amount of Certificates of the same issue outstanding in the state of South Carolina can declare the entire issue in the state of South Carolina due and payable. *Florida -The certificates have not been registered with the Florida division of Securities and Investor Protection. We are registered to sell our own securities as an Issuer/Dealer in Florida and the Certificates will be offered solely through our corporate officers and employees who are registered in Florida.